Reward credit cards and their points are near impossible to compare - would you rather have 100 hotpoints, 100 truepoints, 100 onepoints or 100 Airpoints? The most suitable reward card for your needs comes down to what you spend in a year and your priorities. If you spend under $5,000 a year on a credit card, you won't earn enough rewards and make it worth it and it's best to get a low-fee credit card. Our advice: get either a cashback credit card or a free credit card and ignore the "reward stores" that offer a lot of items you might otherwise never buy - a freebie isn't valuable if you didn't really want it. If you struggle to repay a credit card, look for a low-interest rate credit card instead - any rewards you may earn are nothing compared to the higher interest charged on your purchases. Air New Zealand cards - ​Looking for a credit card that earns Air New Zealand Airpoints? This is not the page for you - visit our Air New Zealand credit cards page. 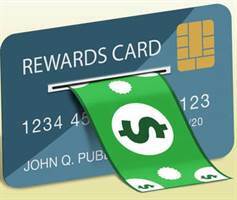 Reward Credit Cards - Right for you? ​Spend on a Rewards card and you’ll get cash or vouchers you can use on shopping, activities and travel. The amount of rewards you get is driven by which card you pick and what you spend on the card. Basic cards (with lower fees) earn less rewards than high roller cards that have hefty annual fees. But, a rewards card is still a credit card and needs to be paid off. Our guide takes you through the best cards for different spending levels, making it easy to find one that rewards you hundreds of dollars a year. People debt free who have an income of at least $35,000 per year and pay off a credit card every month (a lower income is likely to see any rewards eaten up in fees, so a low-interest credit card is the best option). Couples who spend significantly on their credit card but don’t want to have an Air New Zealand credit card. Making the minimum payment will mean the remainder of the balance will be charged a HUGE amount of interest - anything from 15-25%. For example, taking 12 months to pay off a $4,000 balance will cost around $800 if the interest rate is 20%. That’s HUGE and easily avoided with careful budgeting. Late payment fees and high interest charges are just the start. Your card will also go to the collections department of your credit card issuer, meaning a lot of hassle and contact to get the balance. This question is asked a lot, but there is no possibility of paying off one credit card with another. Your balance must be paid off with money in your bank account. Be happy and live within your means. If you can’t afford it in 4 weeks, don’t buy it. The stress created and fees you'll pay outweigh the happiness from any non-essential purchase. There is no obligation to stay with a credit card if you are being charged more than you need to be. Look for a balance transfer deal which will at least reduce the interest costs. The debt you incurred and transferred still needs to be paid. Low or zero interest doesn’t last forever, so paying off a card is a big priority. Low-interest rates are perfect if you sometimes can’t pay them off. If you're a credit card hero and always pay your card off in full every month, look for generous rewards and flight benefits. Don’t spend more thinking it will make you better off – the benefits from a credit card are rarely ever above 2% of what you spend, so don’t get caught out overspending. The more cards you have, the more temptation you might have to use them. Also, having several cards is harder to manage and budget for. So keep it light and simple with one or two cards max. A credit card often has things in it you don’t need to pay for, like automatic renewals you don’t want or memberships you don’t need. Don’t be afraid to relive the past: go line by line through your bill and highlight anything that’s wrong or you can live without. The interest rate is very high, and you get charged it from the minute you take it out of the machine. Also, you don’t earn any rewards or cashback on cash withdrawals. Cash withdrawals are best only in an emergency situation. Credit cards offer big limits, but if you can't pay the balance you'll soon face an even bigger debt. Fees added on for late payments can quickly lead to a debt spiral - if you're having debt problems a credit card is rarely the answer. ​The reality is that unless you’re earning double or triple points, it’s a hard slog to get a reward of any value. You’ll need to spend over $300,000 to get either a Samsung Galaxy S8+ Smartphone or an Apple iPhone 8Plus, which is rather unrealistic in most situations. However, there are a number of low-level rewards which make it user-friendly to anyone spending a standard amount on a credit card every month. Cashback: $1 per $150 spent, or 67 cents per $100 spent (but, cashback can only be redeemed at partner stores and not taken off a credit card bill directly). ​Rewards: Merchandise and voucher rewards start from 20 True Reward Dollars, with retailer partners including Mobil, Farmers, House of Travel, Vodafone topup - all options are found at the True Reward partner store. There is an annual fee of $40 ($20 charged every six months), an additional card is $15 per year ($6 charged every six months). 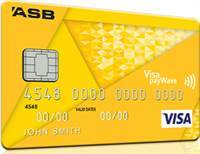 The card is a VISA which is widely accepted along with Mastercard throughout New Zealand. The Visa Platinum Rewards card offers 1 True Reward Dollar per $100 spent and throws in overseas travel insurance for an annual fee of $80. This effectively gives the cardholder a 1% cashback. Cashback: $1 per $150 spent, or 67 cents per $100 spent. BNZ $40 = 1 Flybuy. Rewards: There are Many cash reward redemption options – you can choose to reduce your credit card balance each month, put your Cash Rewards dollars into a BNZ savings account or KiwiSaver scheme. A range of point conversion options using FlyBuys, but the best value is on cash discounts or saving deposits on BNZ products. There is an annual fee of $40 ($20 charged every six months), an additional card is $12 per year ($6 charged every six months). Cash Reward dollars can be used on BNZ financial products, such as bank accounts, credit card bills and KiwiSaver funds. The BNZ Visa Advantage Platinum offers $1 cash reward for every $90 spent, as well as 90 days of annual travel insurance for an annual fee of $90. The cashback rate is 1.11% and an annual spend of $9,000 covers the annual fee. The rate for Flybuy earning is $15 = 1 Flybuy, considerably more attractive than the $40 = 1 Flybuy rate for the standard BNZ Advantage Classic Visa card. The true cashback visa, with up to 1% of your annual spend credited to your account every year. There is an annual fee of $60 (charged annually), an additional card is $10 per year. 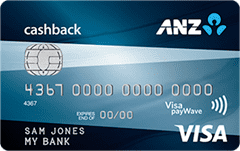 The ANZ Visa Cashback Platinum offers 1% cashback with no limit on all annual spend above $10,000 as well as free overseas travel insurance for an annual fee of $125. This card really is only suitable if you spend over $30,000 annually as the standard Visa offers the same cashback rate. $55 annual fee, while offering decent rewards for purchases at The Warehouse. ​Cashback: $1 per $150 spent, or 67 cents per $100 spent (but, cashback can only be redeemed at The Warehouse and not taken off a credit card bill directly). Flexibility to use Purple Dollars for any purchase at the Warehouse. The interest rate is 22.90% p.a. Check out the Warehouse Purple Visa rates and fees. Westpac offers luxury rewards in the hotpoints store. Sadly the reality is that unless you’re earning double or triple points, it’s a hard slog to get a reward of any value. For example, you’ll need to spend over $300,000 to get either a Samsung Galaxy S8+ Smartphone or an Apple iPhone 8Plus, which is rather unrealistic in most situations. Not all is lost. There are a number of low-level rewards which make it user-friendly to anyone spending a standard amount on a credit card every month. Cashback: Westpac’s Spendback program converts 2,220 points for $10 credit on your credit card bill, meaning every $100 you spend gives you 45 cents of cashback. Rewards: ​Merchandise and voucher rewards start from 2400 hotpoints, with retailer partners including HOYTS, Briscoes, Flightcentre and more – see more at the hotpoints store. Cardholders can convert points into a Westpac KiwiSaver fund (1800 points for a $10 deposit) which brings the cashback to 56 cents per $100 spent. 20,000 bonus points are worth approximately $91 off your credit card bill or a $111 deposit in a Westpac KiwiSaver fund. There is an annual fee of $44, and an additional card is $15 per year. Hotpoints expire 3 years after they are earned, and if you cancel your credit card, you’ll have 10 days to use them before losing them. The card is a Mastercard which is widely accepted along with VISA throughout New Zealand. 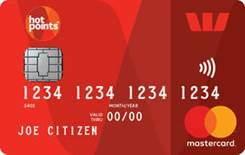 Check out the Westpac hotpoints Mastercard rates and fees. ​The hotpoints Platinum Mastercard offers 2 hotpoints per $1 spent for an annual fee of $125. This effectively gives the cardholder a 0.9% cashback. Best for Countdown shoppers, but be prepared to spend $5,000 at Countdown alone just to cover the card fee, and points expire every six months! onecard rewards cardholder spending at Countdown and for everyday spending by spending issuing $15 vouchers for every 200 onecard points earned. Every February, May, August and November, onecard points balances are checked, and for every 200 onecard points collected you will receive a $15 rewards voucher. Any points that are not converted into a rewards voucher will be carried over to the next rewards cut-off date, provided they have not expired. Points otherwise expire every six months. Earn: 1 One point for every $10 spent, or every $5 spent at Countdown supermarkets. Cashback: For every 200 Onecard points earned, you will receive a $15 Onecard rewards voucher, offering cashback at 75 cents per $100 spent. Vouchers can only be redeemed at Countdown and not taken off a credit card bill directly. The minimum spend for the lowest reward (a $15 voucher) is $2,000. Vouchers are automatically issued every six months. Flexibility to use $15 vouchers on any item(s) at Countdown, including discounted items. The interest rate is 19.99% p.a. There is an annual fee of $65 (waived in the first year), and an additional card is $14.50 per year. Onecard points expire 6 months after they are earned, and if you cancel your credit card you’ll have 10 days to use them before losing them. Check out onecard VISA rewards and features. Will these cards and their reward levels be valid next year, or the year after? We keep this guide fully up to date, yet we cannot predict future credit card offers. Our experience has shown that reward earning rates (i.e. $1 per $150 spent) seldom change on a card, but the number of points required for rewards in programs such as HotPoints and PurpleDollars is subject to change (for better or worse) as new products replace older ones. Annual fees can change - for example, in 2019, The Warehouse introduced an annual fee of $55 to its Purple Visa card, which had been previously advertised and sold to consumers as fee-free. Our advice is to take advantage of the benefits by applying for the credit card that suits your needs. Reward offers like “spend on a credit card and earn an iPhone”, but the reality is that would require you to spend $300,000 or more. Our advice is to think small when it comes to reward cards, and nothing beats cash. What is the difference between "Cashback credit cards" and “Rewards credit cards"
"​Cashback" credit cards are simple – you earn 0.5% or 1% every time you make a purchase on the card, and you get paid out once a year with the amount taken off your credit card bill. The advantages are that you know exactly what you’re earning and you get a direct financial benefit by way of savings on your annual spend. “Rewards” credit cards are similar to cashback, but more complicated. With a rewards card, you earn points or reward dollars every time you spend, which you can convert to gift vouchers to use in a certain retailer or for a specific purpose. You have to use the vouchers to make the Rewards card work, otherwise it’s not worth the annual fee. By correctly targeting the right rewards to redeem your points on, it's possible to increase to amount substantially. To find out how to do this for all schemes and specific info for Nectar, Avios and Tesco, read our Boost Your Loyalty Points and Avios Boosting Tricks guides. I spend under $5,000 a year? Which card is best to get rewards and not overpay in fees? 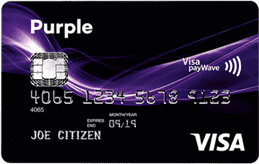 The most suitable card is the Warehouse Purple card which is free. $5,000 spend will give you $33 in Warehouse vouchers, giving you the benefit of the convenience of a credit card without an annual fee. Alternatively, the AMEX free Air New Zealand credit card is a free-fee card offering $1 Airpoints per $100 spent. You will need to operate an Airpoints account however, and fly Air New Zealand annually to avoid an annual $30 fee.